Did the development will finished? Who knows, according to timeline codings starts on 23 May and ends in August, so we will see the results then. On qemu site it is written that only ROM is missing, and from the parts of code I read and my usage it seems so. They have PowerMac implementation with keyboard, mouse, monitor, disk, processor, openbios, so the only missing part is Mac ROM. In the case you don't know what GSOC is, it is the Google sponsoring students to write code for open source projects. 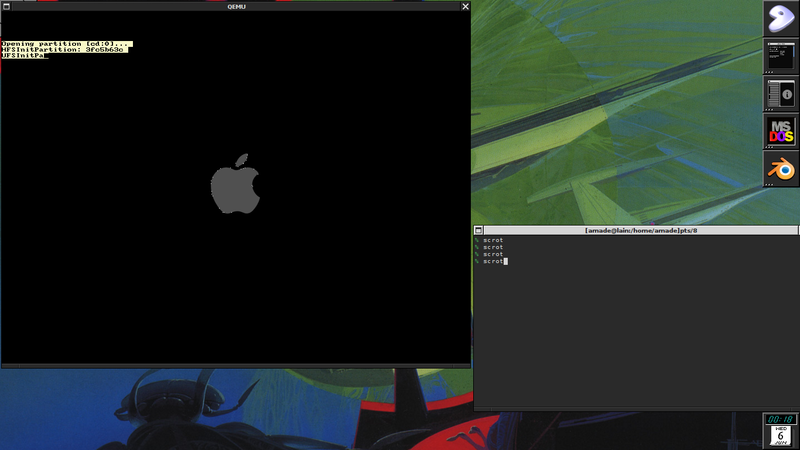 In the meantime, using QEMU PPC emulation with Mac-On-Linux running inside might work. 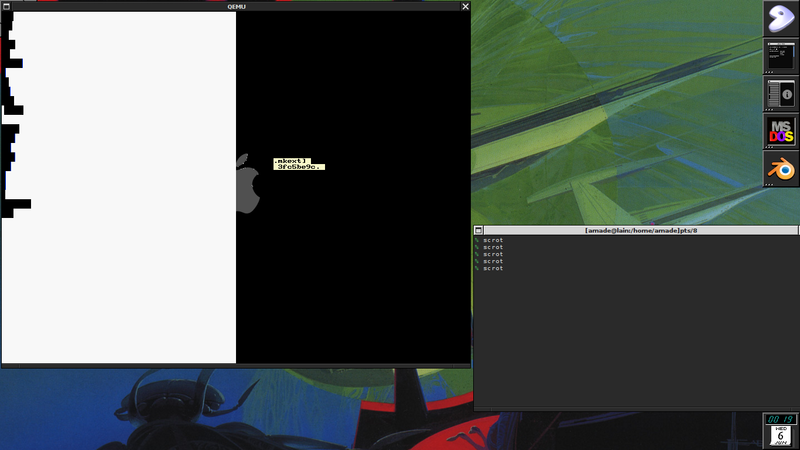 Just noticed that another project is to "Add Macintosh to 68k system emulation." That would be fun, too. Maybe an emulation that does things that Basilisk II does not! August will be interesting. Or earlier for the ones that like adventure and building early qemu versions? Any idea where to find the gsoc forks? I can't find anything about what is done. While Mac OS does not yet fully boot, with these patches I have gotten the Mac OS 10.2 kernel to load and begin booting. http://lists.openbios.org/pipermail/ope ... 06619.html - Note that lines having only "\" need space after "\" so they should be "\ "
Congrats! 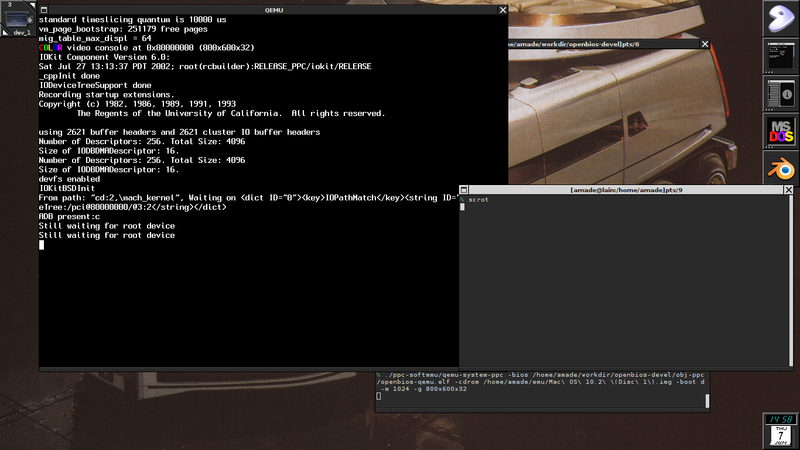 You've got as far as I did, although I was using the default openbios in a patched version of qemu-ppc. As PearPC's going to be faster at emulating 10.1 and later, I've been focusing on 9.1 through 10.0; when you trace down the panic, please post what you did to get past that point! Interestingly, qemu appears to be the only thing that emulates the PPC MMU -- which is why 9.1 through 10.0 will only ever have a hope of running on qemu. Did anyone get further on this? You are right on time :D, there was new release of openbios with changes merged just few days ago. There is still problem with "Waiting for root device" on 10.2, 10.4 (and some darwinppc releases) and 10.0 still panics, I'm slowly working on this (setting up pearpc to build kernel with debugging enabled). 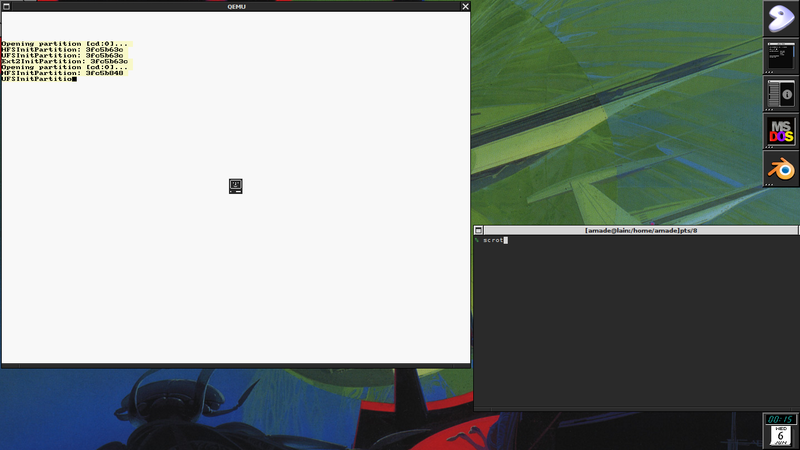 As far as I can tell, there are problems with how disk access is emulated (ATAPI or something next to it). Great! I am curious to see where this goes. We might even be able to run OS 9.2.2 and 10.0.4! 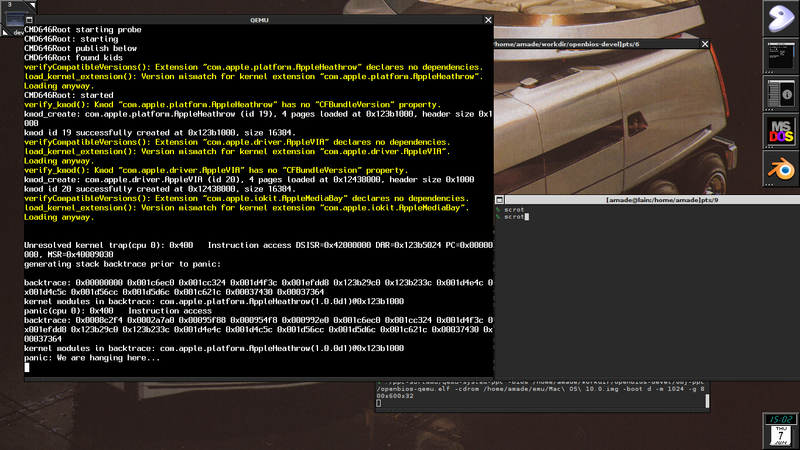 And once these changes have been debugged, we might even be able to wrap a PearPC interface around QEmu (who am I kidding... I'll be creating stand-alone blobs). I've been trying to get openbios built. Seems it is not that easy. 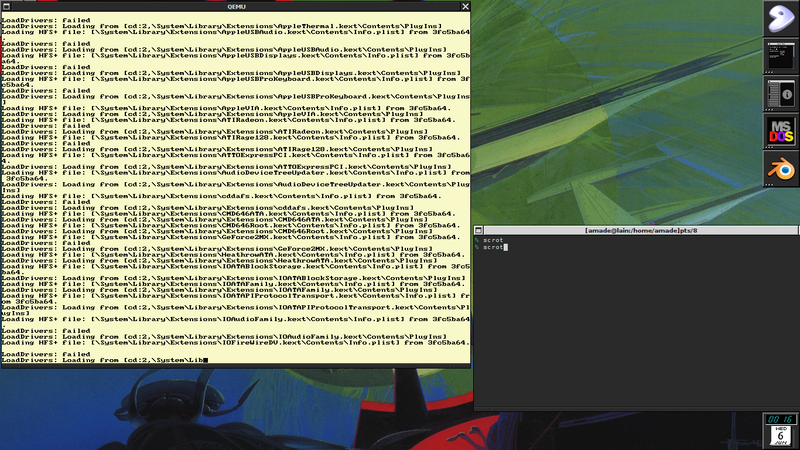 On PPC mac the eabi compiler is missing, etc. 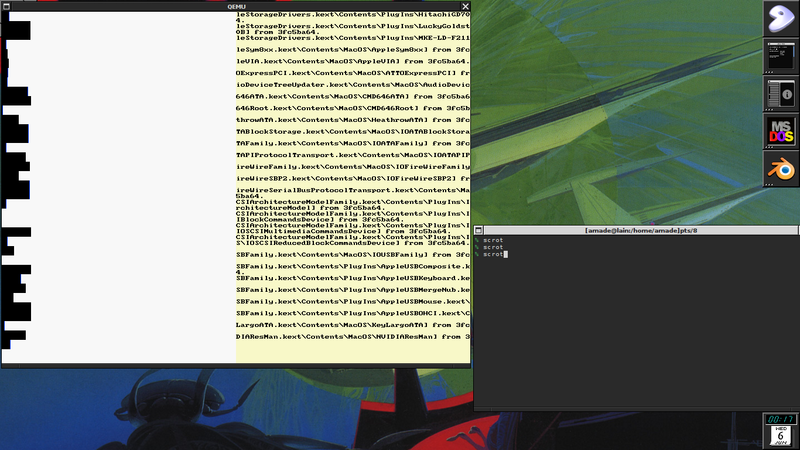 Next try: cross compiling on cygwin. Given up! A PM is always welcome! I came up with an error that the "eabi" compiler is missing.